Andie and Thor sat chatting outside after a party, waiting for taxis home. They had known each other for a couple of years but only in passing, enough to say �hi� as they passed but that was about it. They were surprised that they had not chatted with each other before. After a while and no taxi in sight, Andie asked �You�d have a few guitars back at your place? How about we go there and have a jam. Neither of them had played nor thought of jamming with anyone recently and as the two of them jammed over the next few hours it was clear to them both that it is something they both enjoyed and should do more of. Jams became a weekly event at Thor�s place. They had been working on songs Thor had written over the past few years and without the proper equipment, they were toying with ideas how to record them. A short while later Thor was visiting another friend and former band mate in �The Blowflies� Mick Rohotas, who showed him the small studio he had put together, complete with drums, amps, mixer, lights, sound and recording abilities. Mick invited Thor to a jam at the studio with Ash Warner, who was the drummer in Micks current band �Hercules�. That jam was a lot of fun as they recall and at the end of the night all three wanted to do it again. Mick and Ash asked Thor if he knew a bass player who of corse suggested Andie. The four of them got together the following week. �Rock N Roll Heaven!� exclaimed Andie as he saw Micks studio. Rock N Roll Heaven was exactly where of the four of them spent the night. �Addictive�: the best word to describe the feeling. �This must be recorded.� Was the shared consensus by all and in just a few weeks, they were listening to five of Thor�s songs on the stereo. Rock N Roll Heaven soon become too small and Mick moved it to a larger residence dubbed �The cubby House� due to the many bright colours the walls were painted. The four of them continued to write songs and hone the original ones. The desire to play a live show now filled them and they agreed to use the name �Hammaraxx� as their title. A few short shows were played in the �Locker Room� a venue inside the Melbourne Telstra Dome and the energy was high. Hammaraxx buzzed the audience who thirsted for more. But the young band wanted to grow, there were things to be done before delivering too much more. Another year or so passed, silence from Hammaraxx. Meanwhile Micks studio had moved once more. Firing all cannons this time Mick created �Music Land� the ultimate private band studio, personal venue ever seen. To mark its completion Mick held a huge party with a few bands playing including Hammaraxx, who had not played together for over a year. The spark had been reignited and it wasn�t long before the four of them were back in the studio tightening up the old songs and preparing to go out and play live again. A phone call came within a few weeks of the reunion asking if the band was still together and wanting to play, talk about timing. Hammaraxx played a few nights at the Mercury lounge a short time later which lead them to gain Duane D. Ziglioti as their manager. In November Asylum TV, a music television show screened a fifteen minute special on the band playing live with a short interview. Hammaraxx played their last show with Ash as the drummer December 6th 2005. Nothing could stop Hammaraxx now and to prove it they played their first show with Stryker on the 30th of January 2006 again at the Mercury Lounge, less then two months later. Currently Hammaraxx are writing material for a new show to take on the road. Look out for them soon. Check Hammaraxx.com often for news and show details. Inspired by an afternoon music television program, at the age of two, Thor decided he would learn the guitar and sing when he grew up, just like the men on the television. He would follow that desire through his school years being involved with quite a few bands, most often as guitarist/lead vocalist. Later he started playing with bands playing shows at �real� venues. Back then, it was often easier to find a guitarist to complete the line-up and for Thor to play bass than to find an actual bass player. So for many years that was how he found his musical outlet until joining a band called XXSEX as lead vocalist. Thor sang with XXSEX for many years, almost a decade until the band folded. Around the time the band was coming to an end he was performing solo shows with JD, his twelve string acoustic guitar. He enjoyed the outlet but it wasn�t the same for him as it had been playing with bands. He played guitar and backing vocals with The Blowflies during the year that Mick wasn�t with them, then retreated from the live music scene altogether for about two years before finally stepping into the role he had desired since the age of two, guitarist/lead vocalist in a Rock �N� Roll Band, Hammaraxx. Spending far to much time playing guitar on the beaches of Sorrento as a child and youth , I developed a love for the rock and respect for the roll, played in many bands, and with the talent that surrounds me I feel its been the reason for all before it in Hammaraxx. Arrrmed with a mighty Maton jb4 fret less and a most galiant B C Rich in yummy red, Hammeraxx rocks ! Mick picked up his first guitar at the age of 10 and taught himself to play by listening to the albums and copying the style�s of Jimi Hendrix, Carlos Santana and Pink Floyd. 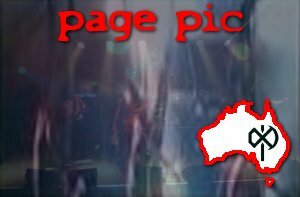 He formed his first band �The Letter� at 13, with regular gigs at �The White Elephant� Broadmeadows Town Hall supporting bands like The Masters Apprentices, Max Merritt, Hot Chocolate etc. It was during this time he honed his lead guitar skills and formed his own style. Next came �Abacus� (at 17) where he did his first Record on Rebel Label, called �lovely to see you�. After changing singers the band changed names to �Manor�, where they brought out a single in 1972 by Festival Records called �Rock On�, which enjoyed being played on the radio for a while. A final change of lead singer saw this group once more change names to �The Gathering� and this time become managed by Peter Goodman (Grondman). They released another 2 records on festival �Money Making Superstar� and �Welcome to the Party.� Both received quite a bit of airplay. reaching No 1 and 2 on 3XY and 3AK. The Gathering backed people like Billy Preston, (keyboardist for the Beatles), Ronnie Burns and supported groups AC/DC, Masters Apprentices and most of the other bands in the era. At 20 formed a short lived band called �Jool� and then �Axis� where Micks Lead Guitarist skills became well known. Axis supported Renee Geyer and many other great Australian acts. Since those times, Mick has been in numerous bands (The Blowflies, Smokehouse, Hercules, and Ash Wednesday) and also performed as a session guitarist, perhaps the most recent claim for fame was with �Big Brother� a CD was made called �Sarah Marie we love you� by �Hercules�, and it was played on Rove Live and most of the venues where Sarah Marie went. Currently Mick is the lead guitarist for Hammaraxx, adding his unique guitar melodies to the raw punching rock creating an overall original rock sound with hints of the classics thrown in for good measure. Stryker grew up to a musical family and started his career when John Farnham put him behind the drums during a set break at the Dorset Garden Hotel at the age of three, his father and two brothers where John Farnham�s support band at the time. Many years and many bands later he is now a power house behind the kit and also plays guitar, bass, keyboard, vocals and also composes original material. Blackout, New Thunder, Arora, There�s Fur In My Soup (QLD), Ultra Candy. 2120, Hype, Scatt and a few others.